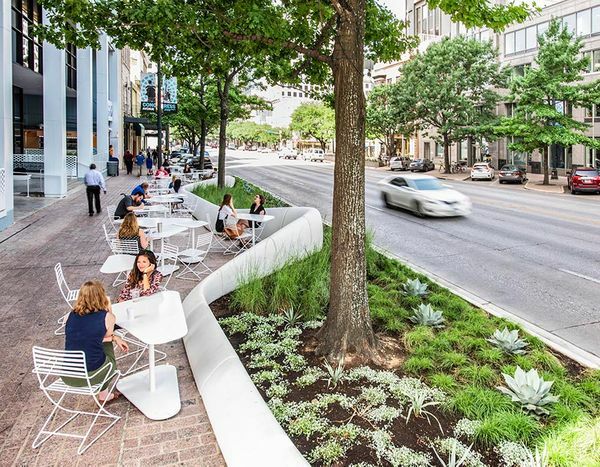 This presentation is about tactical urbanism, pedestrian friendly design and collaboration amongst designers, city officials and property owners to improve the experience on Congress Avenue. dwg. has completed the design and installation of 4 pocket patios on Congress Avenue. We envision beginning at Royal Blue (609 Congress) or at General Assembly and discussing the origin of Austin's pocket patios. Then we will "crawl" on Congress Avenue to each pocket patio (804 Congress, 823 Congress, 914 Congress.) We can finish up with snacks and drinks at the last pocket patio to continue the conversation. This presentation is about tactical urbanism, pedestrian friendly design and collaboration amongst designers, city officials and property owners to improve the experience on Congress Avenue. dwg. was established in 2010 by Daniel Woodroffe in Austin, Texas after many years of national and international experience in landscape architecture. The firm is passionate about urbanism, positioning the landscape as green infrastructure and designing solutions that encourage social and environmental change. Our firm is focused on urban architectural landscapes, targeting our efforts at projects within high growth urban areas, which results in an expertise in all aspects of urban design. We are leaders in sustainable and low-impact development and collaborate with design teams and stakeholders to successfully implement project visions. In a little more than seven years, the studio has grown to a staff of 24 experts in urban architectural landscapes, civic infrastructure and sustainable design, including 10 registered landscape architects. dwg. attributes our success to repeat clientele and client referrals, valuable and meaningful community involvement, our innovative and collaborative process and (last but certainly not least) our fun and talented staff of designers.